Getting a part-time job is not the ideal solution for your early retirement – it is part of a well-rounded system and should be considered as a plan B or C. To pay off your debts and to live a comfortable lifestyle, investing your money is the key to earning passive income and is plan A. Early Retirement is a concept that’s more meaningful when viewed in the light of achieving financial freedom at an early age. It’s more than an indicator of quitting a job and retiring to a lifestyle without any occupation. 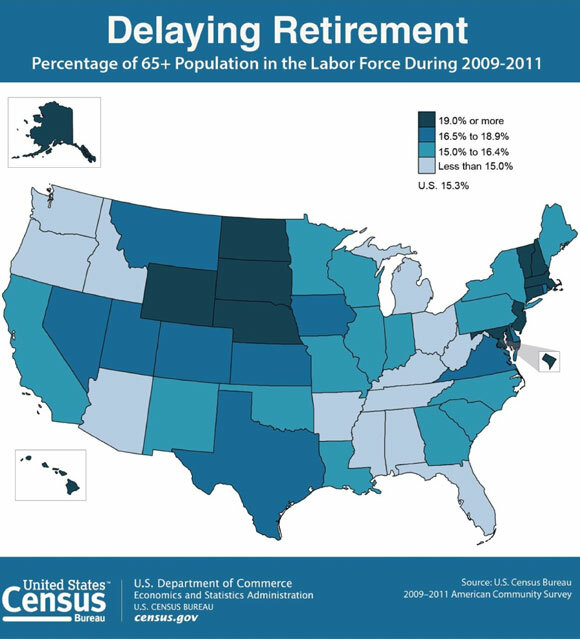 Here’s a heat map that shows how the 65+ age group is operating in the active labor force for most U.S. states. The Internet is filled with creative options that allow you to retire as early as your late 30s. Writing a book and finding a publisher to pay you royalties on the percentage of sales is a proven, profitable strategy. Publishing your own e-book on the Internet and creating a passive venture is another one, and you can write the book on the subjects you’re most knowledgeable about – the Internet is full of buyers for any niche. Creating compelling YouTube videos that other users find entertaining or informative and earning a side income through Google Ads is another tremendous source of income. 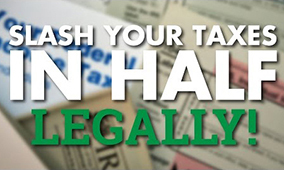 Property managers rely on ancillary revenue streams to generate passive incomes apart from collecting rent. 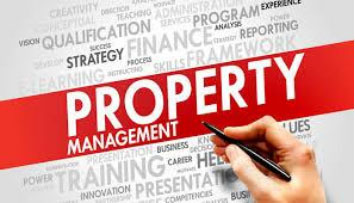 As a property manager, your job is to keep your property in top condition, while offering services to your tenants. These include setting up a health club, private park, offering services such as spas and cafés, maintaining the pool, providing 24/7 surveillance, and so on. Additionally, you can also rent out car washing equipment, vacuum cleaners, and other electronic equipment, like computers and fax machines. Improvements on your rental property ensure your vacancies are filled and tenant satisfaction is at an all-time high. Peer-to-peer lending allows you to freely loan out money to individuals based on their credit scores. You can also pool your loans with other lenders and minimize your risk. Lending Club is the biggest name in the peer-to-peer consumer lending business. The company strictly verifies whether or not the borrower has a positive credit score and grants a loan on a fixed interest rate. Private lending clubs are a perfect investment option, as they’re one of the safest ways of earning interest on your investment. An opportunity to earn an interest in excess of 10% per year is nothing to scoff at. Highly-skilled professionals that seek a flexible means to earn income can start consulting services. Several businesses and small companies need consultants to help solve their problems and provide insight pertaining to their challenges. 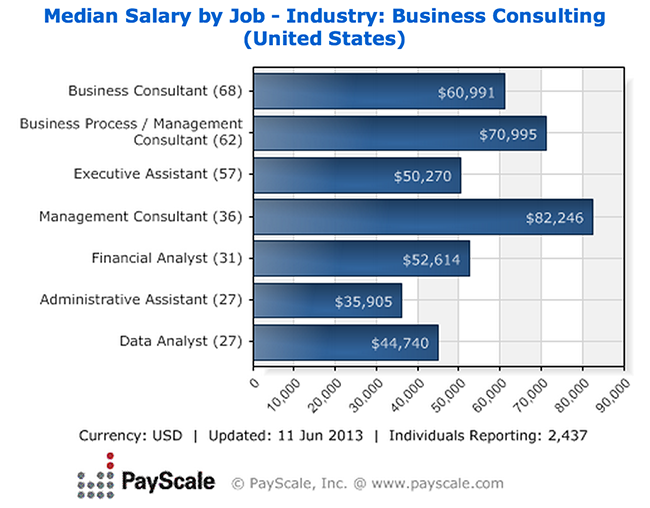 The following graph displays different consultants and their median salary. As a consultant, you provide on-demand solutions to companies without having to work full-time. Consultants charge either by the hour, per session, or upon completing a project – all of these options are retirement-proof strategies. The main idea is to make sure your retirement isn’t wholly dependent on any one source of income – instead, you are a specialist in creating multiple sources. For a genuinely passive income stream in the niche of high-yield investments (those with a 7%+ dividend yield), the main focus is on MLPs and REITs. Portfolio Wealth Global has completed a thorough analysis of 53 stocks, and our top picks are published in 2 exclusive reports. Many retirees also pursue a “high risk, high reward” opportunity fund. 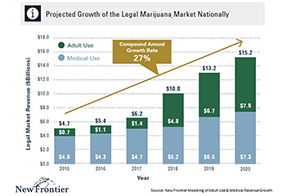 What this means is that a portion of savings is reserved for mega-growth stocks that are part of the 3 big totally explosive industries: cutting-edge science, cannabis legalization, and natural resources. 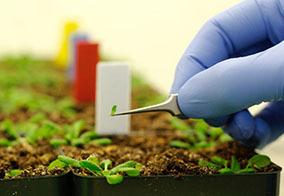 One well-positioned and thought-out investment could mean an additional decade of funds, as these Smart Speculations could bring in 2,000%-5,000% gains. In the coming weeks, we will be publishing full profiles of top picks in these mega-growth industries to members to Global Wealth Free Newsletter.